The Karcher Puzzi 10/1 is a mid-sized carpet/upholstery cleaner which uses solution spray and powerful vacuum motor to clean. “Broken upholstery tool” Replacements available. “No spray delivery” Contact us for a service. “Wheels are stuck” Fault diagnosis required. 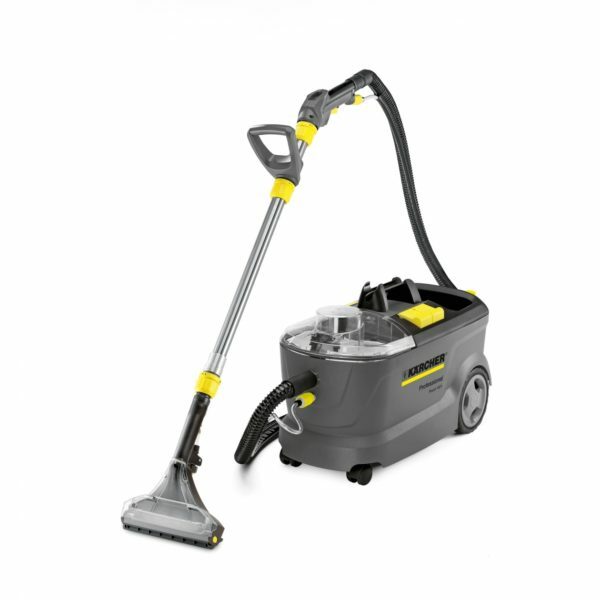 If you’re in Malmesbury and need a service or repair on your Karcher Puzzi 10/1 call, email or drop-in to our Bristol service and repair centre.